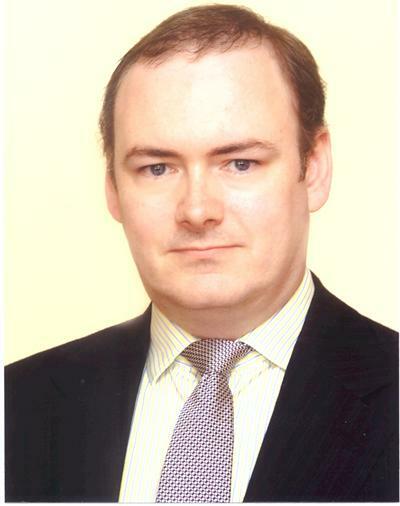 Professor Frank McGroarty is Professor of Computational Finance and Investment Analytics within Southampton Business School at the University of Southampton. I received BA and MA degrees in Economics from University College Dublin, after which I embarked on a very successful 13-year career in investment management in the City of London. I worked for Barclays Global Investors, Meinl Capital Markets, State Street and UBS. My former roles include Economist, Fund Manager, Investment Strategist and Head of Research. At Barclays, I pioneered the use of quantitative techniques to build equity portfolios which substantially outperformed market index benchmarks. When I was with UBS, my team moved from number 4 to number 1 in the analysts' rankings. At State Street, I played a major role in the development of the bank's multi-award-winning internet portal and electronic trading platform, "globallink" and in building the foundation for State Street Global Markets. As a co-founder of Meinl Capital Markets, I led a team of investment analysts in the design and implementation of proprietary third-party-fund valuation models and algorithm based trading systems. During my time in the City, I was responsible for equity funds, currency funds and funds-of-funds worth several billion pounds. The funds I managed delivered above-benchmark, positive returns in every year. To put that another way, I never underperformed my benchmark in any year and never delivered a negative return for any client, even when the benchmark market index return was negative. My investment strategies all combined a quantitative approach with a deep understanding of the prevailing economics. By late 1999, approaching the peak of the dot-com bubble, I found that I could no longer make sense of price behaviour in the financial markets. So I decided to investigate how asset prices formed by way of a part-time PhD degree. Researching my PhD thesis, "Determinants of Prices and Spreads in Global Currency and Money Markets" (University of Southampton, 2003), convinced me that the primary driver of global asset prices was an unsustainable bubble in global credit. Study and reflection led me to conclude that the prevailing consensus of neoclassical perma-equilibrium economics, and in particular, the ubiquitous dogma of efficient markets, had stopped the investment industry asking serious questions about valuation and about fundamental relationships. At the same time, I felt that the industry's emphasis had shifted away from investment analysis and towards sales. For these reasons, I decided to step back from the investment management industry and devote my time to the academic study of how prices evolve in financial markets. In 2003, I joined the University of Southampton. Throughout my career, I have sought to bridge the gap between academia and practice. In my view, both perspectives are necessary to understand finance. As an investment practitioner, I developed investment strategies from published academic research. I also managed sponsorship of academic research into finance related topics on behalf of investment management firms and investment banks. Based on my own research, I published a number of articles in the financial press and authored numerous specialist broker reports. I was also a frequent speaker at investment industry conferences. In addition, I served on pan-industry boards and working committees including the Global Association of Risk Professionals (GARP), the INstitute for QUantitative Investment REsearch (INQUIRE) and the Investment Management Association (IMA). In the latter organisation, I instigated an industry-wide 'e-finance' working committee to study the implications of the internet for the UK's fund management industry. My practitioner experience has proved very helpful in my teaching. However, it is in my academic research that I have found my practitioner experience to be most valuable, as I believe the essential role of the academic researcher is to objectively critique investment/financial practice, cutting through its marketing spin, self-serving fluff, folk wisdom and misguided practices to reveal the true underlying fundamental drivers and dynamics of financial markets. My research to date has been on the empirical market microstructure of electronic financial markets. The markets I have analysed include the foreign exchange, financial futures and online sports betting markets. I have a very keen interest in computational finance and am a member of the Society for Computational Economics. I am a member of the University of Southampton's cross-disciplinary Computational Modelling Group. I am also on the editorial board of Research in International Business and Finance. I am interested in hearing from aspiring PhD students who would like to pursue a thesis in one of these areas. I am also involved in the university's Institute for Complex Systems Simulation Doctoral Training Centre and I would like to hear from students interested in Complex Systems with a Financial Markets slant. In addition, I am interested in consulting and collaborative research with practitioners in my specialist areas and in having sponsorship for PhD student research on topics of interest to practitioners. Best paper award at the Global Finance Conference, 2005. Outstanding paper in Financial Markets and Microstructure at the American Midwest Finance Association conference, 2006. Best paper award at the Second International Seminar on China's Economic Growth and Employment, 2009. Urquhart, A., & McGroarty, F. (2014). Calendar effects, market conditions and the adaptive market hypothesis: evidence from long-run U.S. data. International Review of Financial Analysis, 35, 154-166. Alsayed, H., & McGroarty, F. (Accepted/In press). Ultra High Frequency Algorithmic Arbitrage Across International Index Futures. Journal of Forecasting. Hull, M., & McGroarty, F. (Accepted/In press). Do emerging markets become more efficient as they develop? Long memory persistence in equity indices. Emerging Markets Review. Emmrich, O., & McGroarty, F. (Accepted/In press). Should gold be included in institutional investment portfolios? Applied Financial Economics. Choudhry, T., McGroarty, F., Peng, K., & Wang, S. (2012). High frequency exchange rate prediction with an artificial neural network. Intelligent Systems in Accounting, Finance and Management, 19(3), 170-178. McGroarty, F., Mason, A., & Thomas, S. (2012). Style analysis for diversified US equity funds. Journal of Asset Management, 13, 170-185. McGroarty, F. (2001). Blending in alternatives. Investment & Pensions Europe (Special issue on Asset Allocation). McGroarty, F., & Gillespie, C. (2001). MeVC. Meinl Capital Markets Published Research. McGroarty, F. (2001). The merger arbitrage fund. Meinl Capital Markets Published Research. McGroarty, F. (2000). Multiple Benchmarks. Investment Review. McGroarty, F. (1991). AURORA: added value quantitative stock selection. BZW Investment Management Publication. Perez-Diaz, A., Gerding, E., & McGroarty, F. (2018). Coordination of electric vehicle aggregators: a coalitional approach. In 17th International Conference on Autonomous Agents and Multiagent Systems, AAMAS 2018 (Vol. 1, pp. 676-684). International Foundation for Autonomous Agents and Multiagent Systems (IFAAMAS). Perez-Diaz, A., Gerding, E., & McGroarty, F. (2018). Decentralised coordination of electric vehicle aggregators. Paper presented at International Workshop on Optimization in Multiagent Systems, Stockholm, Sweden. Urquhart, A., Platanakis, E., Sakkas, A., & Mcgroarty, F. (2017). Asset allocation and market timing: the power of the turn-of- the-month. Paper presented at 15th INFINITI Conference on International Finance, Valencia, Spain. Urquhart, A., Hudson, R., & Mcgroarty, F. (2017). High-frequency technical trading: evidence from commodity ETF markets. Paper presented at Portsmouth-Fordham Conference on Banking & Finance, United Kingdom. Goodell, J. W., Mcgee, R., & McGroarty, F. (2017). Impact of US presidential election uncertainty on the ex ante variance risk premium. Paper presented at 15th INFINITI Conference on International Finance, Valencia, Spain. Restocchi, V., Mcgroarty, F., Gerding, E., & Johnson, J. (2016). Explaining the favourite-longshot bias with heterogeneous interacting agents. Paper presented at WEHIA2016, XXI Workshop on the Economic Science with Heterogeneous Interacting Agents, Spain. Restocchi, V., Mcgroarty, F., Gerding, E., & Johnson, J. (2016). The impact of transaction costs in sports betting markets. Paper presented at Social Simulation Conference SSC2016, Italy. Mcgee, R., & Mcgroarty, F. (2015). On the financial value of the volatility premium. Paper presented at 22nd International Conference on Forecasting Financial Markets (FFM 2015), France. Mcgee, R., & Mcgroarty, F. (2015). The financial value of implied-volatility adjustments. Paper presented at 13th INFINITI Conference on International Finance, Slovenia. Booth, A., Gerding, E., & McGroarty, F. (2014). Predicting equity market price impact with performance weighted ensembles of random forests. 1-8. Paper presented at Computational Intelligence for Financial Engineering and Economics (CIFEr), United Kingdom. Choudhry, T., McGroarty, F., Peng, K., & Wang, S. (2009). Artificial neural network and high frequency exchange rate prediction. Paper presented at 16th Forecasting Financial Markets Conference, . McGroarty, F. (2009). Order flow persistence and conditional long range dependence in intraday spot exchange rates. Paper presented at 7th INFINITI Conference on International Finance, Ireland. McGroarty, F. (2007). Private information, bid-ask spreads and return volatility in the foreign exchange market. Paper presented at 2007 Annual Meeting of the Financial Management Association International, United States. Mcgroarty, F. (2007). The role of private information in return volatility and bid-ask spreads in the foreign exchange market. Paper presented at 5th Infiniti Conference on International Finance, . McGroarty, F. (2007). The role of private information in return volatility and bid-ask spreads in the foreign exchange market. Paper presented at 14th International Conference (Forecasting Financial Markets: advances for exchange rates, interest rates, and asset management), . McGroarty, F. (2005). Microstructure effects, bid-ask spreads and volatility in the spot foreign exchange market pre and post-EMU. Paper presented at 12th Global Finance Conference, . McGroarty, F. (2005). Price aggressiveness and quantity: how are they determined in a limit order market? by Ingrid Lo and Stephen Sapp. Paper presented at The Microstructure of Equity and Currency Markets, . McGroarty, F. (2004). What drives prices and spreads in global financial markets?. Paper presented at Centre for Risk Research Seminar, . McGroarty, F. (2000). E-Fund Management: How e-commerce is changing the business of investing. Paper presented at IIR conference, . McGroarty, F. (2000). Multiple benchmarks in the new millennium. Paper presented at IIR conference, . McGroarty, F. (2000). Risk management for global asset allocation. Paper presented at IIR conference, . Killeen, W., McGroarty, F., & Moore, M. (1999). The success of the euro. Paper presented at Dublin Economic Workshop Annual Conference, . Rees, S., & McGroarty, F. (1992). Developing a systematic approach to equity investment. Paper presented at Quantec Annual Conference, . Rees, S., & McGroarty, F. (1990). Riding the alphawave. Paper presented at BZW Investment Management annual conference, . Scowcroft, A., & McGroarty, F. (1995). The UBS optimizer. London, GB: UBS Securities. Jones, A., Scowcroft, A., & McGroarty, F. (1994). Paying dividends. London, GB: UBS Securities. Choudhry, T., McGroarty, F., Peng, K., & Wang, S. (2008). Artificial Neural Network and high frequency exchange rate prediction. (Discussion Papers in Centre for Banking, Finance and Sustainable Development; No. CBFSD-08-19). Southampton, UK: University of Southampton. McGroarty, F., ap Gwilym, O., & Thomas, S. (2005). Private information, excessive volatility and intraday empirical regularities in the spot foreign exchange market. (Discussion Papers in Centre for Risk Research; No. CRR-05-01). Southampton, UK: University of Southampton. McGroarty, F., ap Gwilym, O., & Thomas, S. (2004). Microstructure effects, bid-ask spreads and volatility in the spot foreign exchange market pre and post-EMU. (Discussion Papers in Accounting and Finance; No. AF04-21). Southampton, UK: University of Southampton. Killeen, W., McGroarty, F., & Moore, M. (2000). Early evidence on the success of the euro. California, US: University of California at Berkley. McGroarty, F., Ap Gwiylm, O., & Thomas, S. H. (1970). The components of electronic order-driven spot FX bid-ask spreads pre- and post-EMU. Southampton, UK: University of Southampton.